Our partner Quantcast called on us for a 'special' project. 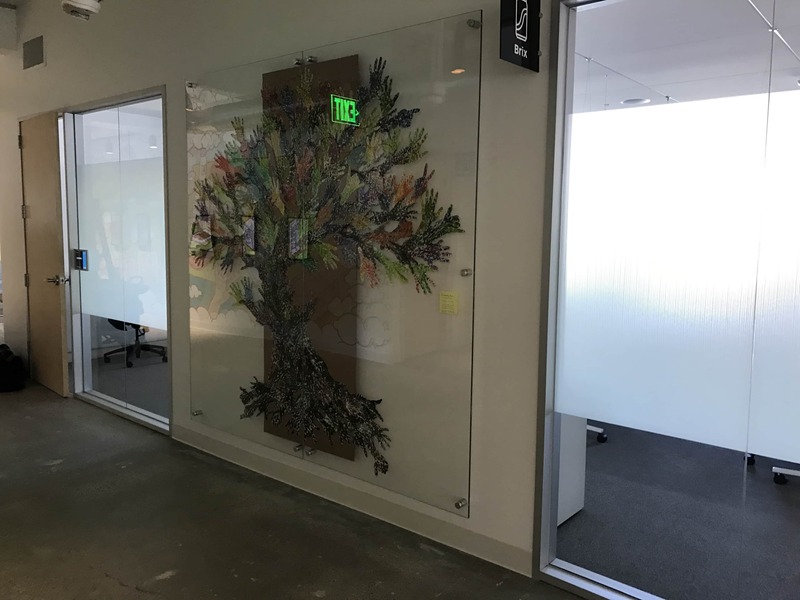 They had commissioned a fine artist to create a piece using paper print outs of original code. The pages where hand painted and colorized using fingerprints. They were then cut to shape as 'hands'. The piece was assembled to create a 'tree'. However, Quantcast hoped to use this piece in a more formal setting and wanted to give it a museum -like feel. 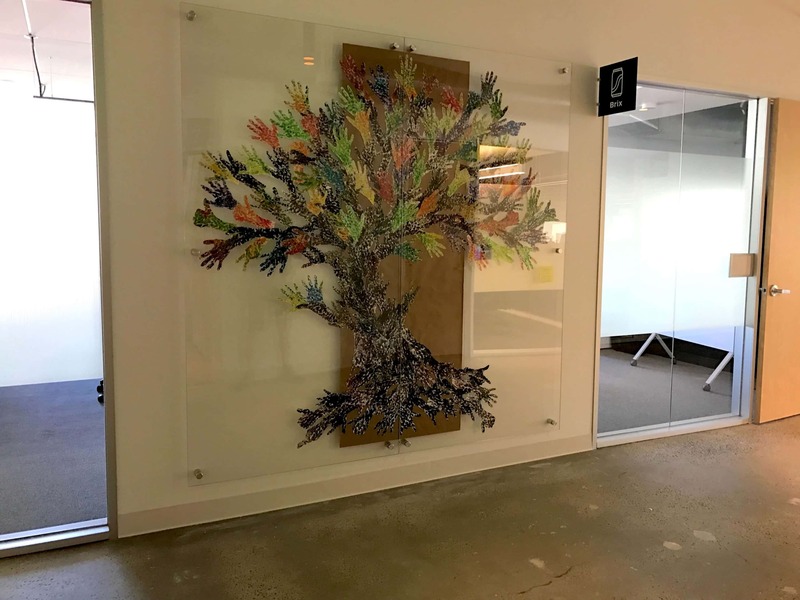 To ensure this they called us here at BarkerBlue to help create a simple yet elegant displays for their San Francisco headquarters. See the results below!